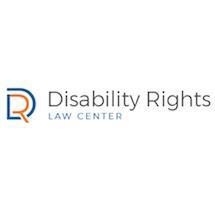 Disability Rights Law Center is a Los Angeles, California, law firm that focuses solely on Social Security Disability Insurance and Supplemental Security Income (SSD/SSI) claims. The firm helps people with the initial application process, denials and appeals. The Disability Rights Law Center’s lawyer, Alex Boudov, has more than 10 years of experience assisting people with SSD/SSI claims. He has worked with thousands of clients during his career. Because the law firm exclusively handles SSD/SSI claims, Mr. Boudov and the staff are extremely knowledgeable and efficient. They also understand that waiting for your benefits is stressful. Obtaining SSD/SSI is a lengthy, confusing process. Working with an experienced lawyer makes it go more smoothly and often results in clients receiving their benefits sooner. The law firm’s staff will assist you with the application, reconsideration, the disability hearing and the appeals stage, if necessary. We know what medical information to present to make a strong case. For a free consultation, you may call 213-784-4386.